Glucometer. 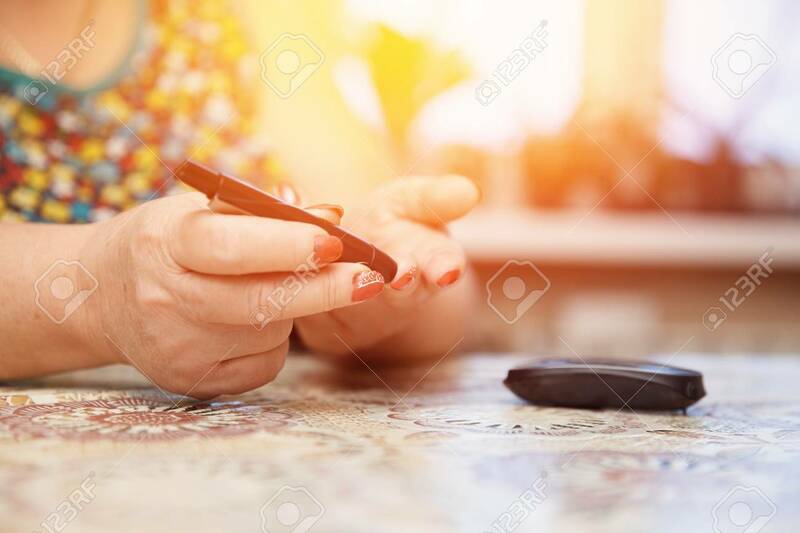 Woman Checks Blood Sugar Level For Diabetes, Insulin.. Stock Photo, Picture And Royalty Free Image. Image 89534000.